One of our top-selling styles in a wild specialty combination! 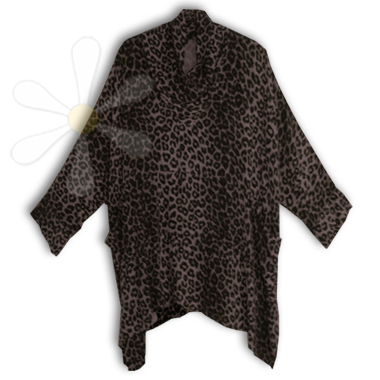 It's our jungle cat leopard print, overdyed in soft latte! There's just this one, and it's IN STOCK NOW! For measurements and details see our RAHBA page.